The Inox people have been living peacefully in the Land of the Waterfalls for a long time, but now there is a dangerous threat. Evil Rhujas roaming the land want to capture the gemstones of the Inox. 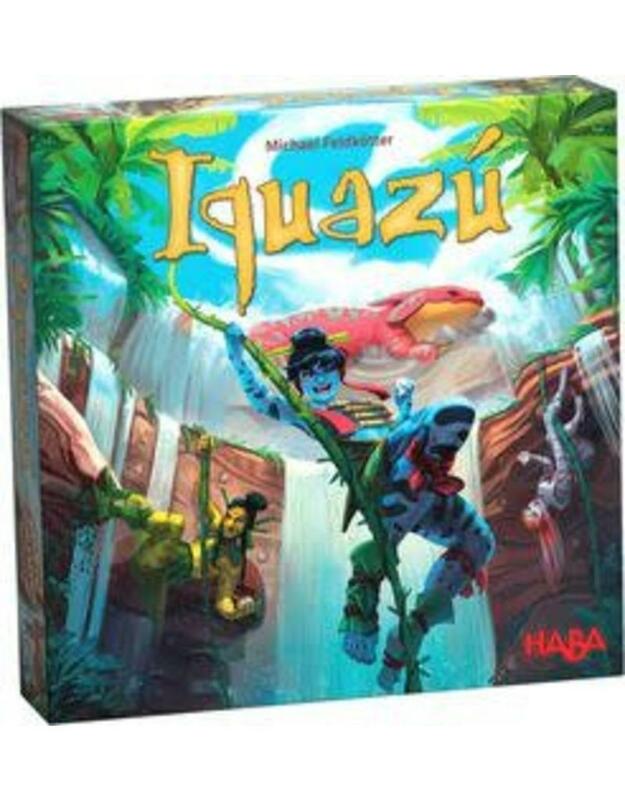 That's why the Inox have selected the hardest to reach and most dangerous place to hide their gemstones: the rock wall behind the Iquazú waterfall. Their water dragon Silon blocks the waterfall so that the brave Inox can rappel down the rock wall behind it to place their gemstones there, out of harm's way. The gushing water and the dangerous water snakes at the bottom will stop the Rhujas from getting the gemstones. 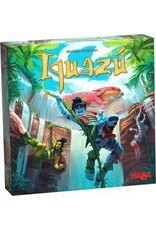 Which player in Iquazú will manage to use their cards skillfully and place their colored gemstones in the best spots?